THEY RUN TOWARDS THINGS EVERYONE ELSE RUNS AWAY FROM. You need to know first responders can handle the stress. Considering all the things they do to keep us safe, you want to do all you can to keep them safe. Hazmat units, fire departments, and even forestry workers use Zephyr™ Performance Systems to help ensure personal safety. They do this by monitoring core body temperature, body positioning and stress levels. All are key indicators of the first responders’ physiological condition when they’re working in hazardous environments. But wearable technology isn’t just for first responders. It often aids the people they’re trying to help. The rescue of the 33 trapped miners in Chile is a great example. Rescue workers needed to know if any of the miners were overly stressed, malnourished or suffering from hypothermia or hypoxia, especially during the critical extraction operation. This information helped determine the order in which the miners were brought up. Of all the monitoring systems available, the first responders chose Zephyr™ Performance Systems. And because of their careful planning and amazing teamwork, all rescue workers and miners surfaced without incident. Read about the role of Zephyr™ Performance Systems in the San Jose Mine rescue operation. 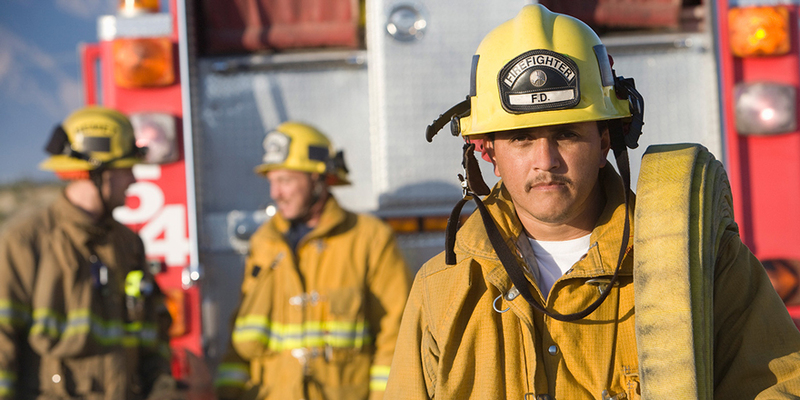 Evaluation of a wearable physiological status monitor during simulated firefighting activities.